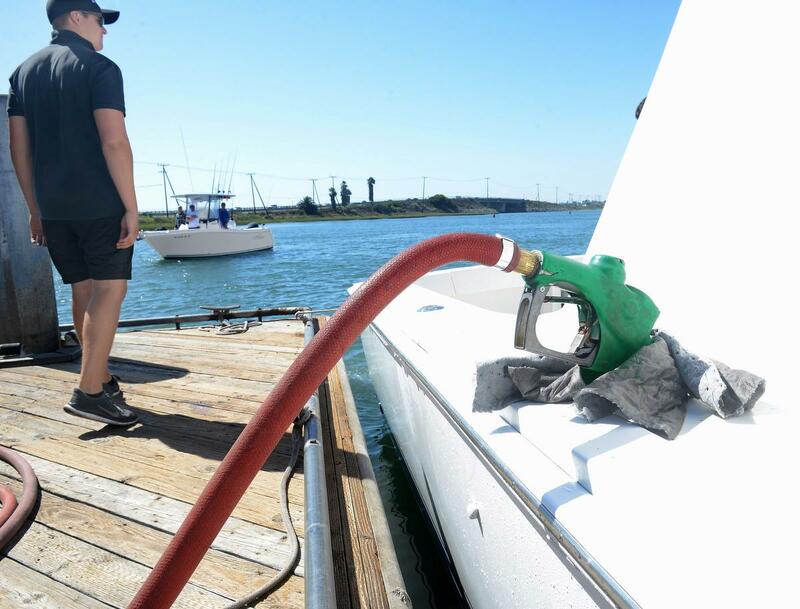 When it comes to boating, all captains share a dislike of fueling up. Whether you’re pulling up to the fuel dock in your Bristol 39 to fill up for the season, or contemplating whether or not your kids really need to go to college as you put another $900 in the tank of your Grand Banks, no boater's wallet is immune to the sting of fueling up. And with boat fuel rates up to twice the cost of the street price, no one can blame you for feeling the pinch. The following tips for fueling up will save you time and money. Know how much fuel you need to get to full. If your fuel gauge is broken, join the club! They seem to be the first thing to go on any vessel. Still, it’s important to know how large your tank is and how much you need to get to full. Even if it’s a ballpark range, a close estimate will save you crucial time and – slowly but surely – will help your wallet as well. If know the ballpark range of what your boat’s tanks can hold, you’re ready for your crucial Step 2. Ready? Listen. ...That’s all. There is a distinct sound a tank will make when it’s close to full (the last ½-gallon or so). When you hear it once, you’ll know it every time moving forward. When fuel gauges are broken, which they often are, this tell-tale sound will help you save money (you won’t overflow), time (you won’t need to hang around with the deckhands helping clean up your mess with fuel sorbs) and most of all, embarrassment. If you are accustomed to relying on spillage as your indicator that you’re full, you don’t know enough about your own vessel. Fuel docks aren’t always the most quiet and peaceful place. When noisy surroundings prevent you from hearing when your tank is close to full, simply stay safe and DON’T top it off. When topping off at the tank with a car, the pumps have reliable automatic shut-offs – and with 15 gallons, an extra gallon can get you pretty far. This is not the case in the boating world: fuel pumps are often old and have faulty automated shut-offs. On top of that, the extra ½-gallon you put in your boat won’t get you far. DO NOT chalk the handle. Whether with a water bottle, fuel key, lighter, or what have you, jimmying the handle so that you can leave your vessel as it fuels doesn’t help anyone. We get it, fueling can take a long time, especially if you have a slow speed pump and you’re taking on anything over 100 gallons. Still, by propping the handle is far from safe. Always have someone monitoring the pump when filling – chalking the handle, can significantly delay your response time if a spill occurs. #5: Save our sea floor: Nix the boat soap! At least 25% of readers will spill when fueling their vessel at some point; Hopefully the four previous tips above keep you from ever spilling again. If you do happen to spill, there is a misconception that pouring Dawn soap or any other type of dish soap will correct your mistake. It’s tough to argue: after all, you just accidentally spilled a little out of your vents and now this “magic” dish soap has cleaned your red hands from guilt as the fuel from your spill seems to have disappeared. Unfortunately, there is no magic involved in dish soap ingredients and all adding dish soap accomplishes is to make the fuel from a spill more dense than it was before, sinking it to the bottom. Once your mess is out of sight, out of mind, it sits at the bottom of the ocean floor for decades; what could have evaporated off of the surface of the water from the sun will now ruin life on the ocean floor for up to a century. If you spill fuel, ask for a fuel absorbent pad (fuel sorb), clean up as much as possible, and then let mother nature and the beautiful sun do the rest of the work for you. Even on a cloudy day, you’ve done the environment a tremendous favor by letting it sit on the surface rather than than sinking it to the bottom. Still on the fence about using soap for your spills? Think back to the BP’s 2010 oil spill. BP used Nalco, a BP subsidiary, to spread Corexit, a chemical which made the oil on the surface more dense, thereby sinking it to the ocean floor, making it toxic and lethal to all sea animals, not just the ones at the surface of the gulf. BP made it appear that the spill was gone, when in reality the environmental disaster was, and is, simply hiding below the surface. Like Corexit, dish soap is an oil dispersant which lowers the tension between oil and water, which, in turn, causes the oil to break into smaller droplets and sink due to the increase in density. If it wasn’t obvious already, never smoke anywhere near a fuel dock, and always remember to shut your engine off. With these tips you’ll drastically decrease your spills, which, in return, will save you plenty of time, money and a lot of embarrassment! Want to request we write a particular post? Let us know! Email Becky at becky@dockwa.com.